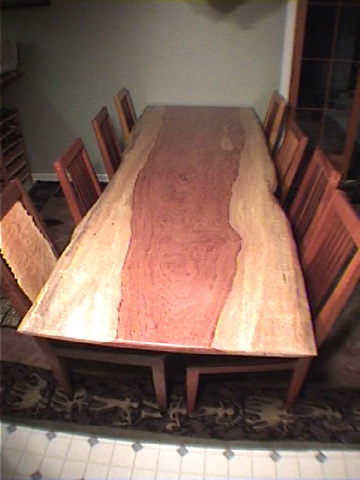 Custom dining slab tables built to order in Montana using wide slabs of walnut, cherry, maple, bubinga and more. maple base 32W x 96L x 30H. Call today to place your order. Only one available, first come, first served.